Our knobs come unsprung. They are solid cast, not hollow and have loose roses to enable them to be used with a rim lock (discard one rose) or use with a mortice lock. They have threaded spindles to take adjustment for various door thickness and lock firmly with a grub screw. The GRUB SCREW should locate on the ''V'' in the shaft and not on the threaded part. Each set comes complete with fixing screws. 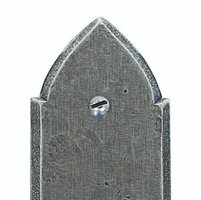 For best results the centre of the knob should be a minimum of 3" from the edge of the door. Heavy Duty latches 4" or 5" are recommended for maximum efficiency. I am very pleased with my door knobs. Beautiful quality and exactly as described. The service was efficient and very fast delivery. Thank you. 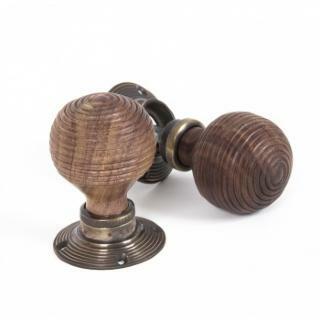 Thank you very much for the review, us here at Period House Store are incredibly pleased that you're content with your Door Knob set.